Of all the substantial buildings erected in the late-19th-century boom years in Stockton ("destined to become the Chicago of the West," according to one writer at the time), the courthouse was the most impressive. Among its many marvels was a gas well "providing heat and light without cost to taxpayers" and a statue of Justice atop a dome that rose 172 feet above the street. 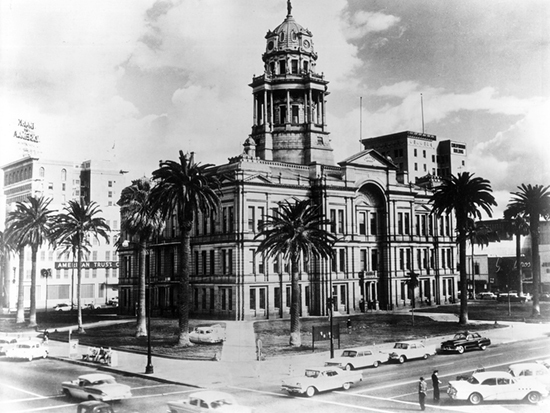 The building was demolished in 1961 to make room for a new courthouse.